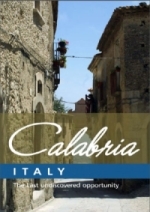 We have produced 3 guides which are useful to anyone thinking about investing in Italy or Calabria, from the most widely asked about questions from many of our clients. We feel that providing all this background information before looking for property in Italy is an essential way of understanding the region and buying process. Is Italian property Freehold or Leasehold? Is it possible for a UK or overseas resident to property in Italy outright? How do I get to Calabria? Which are the best solicitors to use? Is there a Guarantee for money put down on a development? Is money freely transferable between Italy and the UK? Do I have to be in Italy to complete on a property? How do I reserve and what is the payment structure for purchases in Calabria? In whose name should I buy the property? Is there inheritance tax in Italy? What other taxes are there to be aware of? Before completing on a property can I inspect it and check for any snagging or other defects? Are mortgages available in Calabria and how do I go about getting one? What are maintenance costs likely to be? What other costs are involved with the purchase of a property in Italy? Can I benefit from the tax laws in Italy? Who provides a management services in Calabria? What is the cost of living in Calabria? Am I able to become a resident in Calabria? Am I able to work in Calabria? How much is the annual running costs of an apartment in Calabria likely to be? How do I furnish my property? 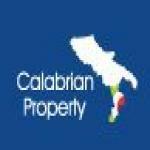 Calabrian Property offer the most comprehensive Calabria Property Discovery Tour for our clients. We can help arrange transfers, hotels and trips to our developments and the beautiful surrounding towns and villages. All of our clients will have the time needed to see our various projects, the region and taste some of the best in Italian cuisine. We offer advice on all the properties and the buying process and will be happy to introduce (upon request) Solicitors and Brokers who can help with any further questions. All of our trips are on a one to one basis and tailored to meet individuals specific requirements. Please fill in the following form with dates that you are thinking about traveling and we will come straight back to you.